Stellar Four: You Better Werk, Cover Geek! You Better Werk, Cover Geek! Oh, how I wish I could have gone to Comic-Con this past weekend in San Diego, California. 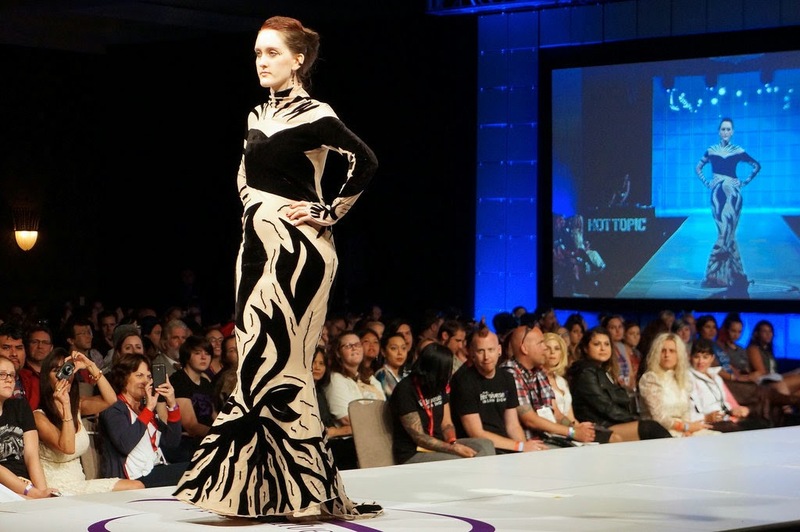 Not only did the Orphan Black and Sleepy Hollow panels sound amazing, there was also an awesome haute couture cosplay fashion show hosted by Her Universe, Hot Topic, and Nerdist. Some of the outfits are AMAZING. Just look at the old school wolverine little black dress above. Aren't the shoes a perfect match for the comic version of his costume? The cutting edge* X-Men piece wasn't the only fun piece from the show. I've included five more of my favorites from the below. Which do you like the most? Check out that Flux Capacitor on the Delorean dress inspired by Back to the Future! I'm not a fan of the Divergent series but I love this Four tattoo dress. The only question is who would OFFICIATE! OFFICIATE! OFFICIATE! 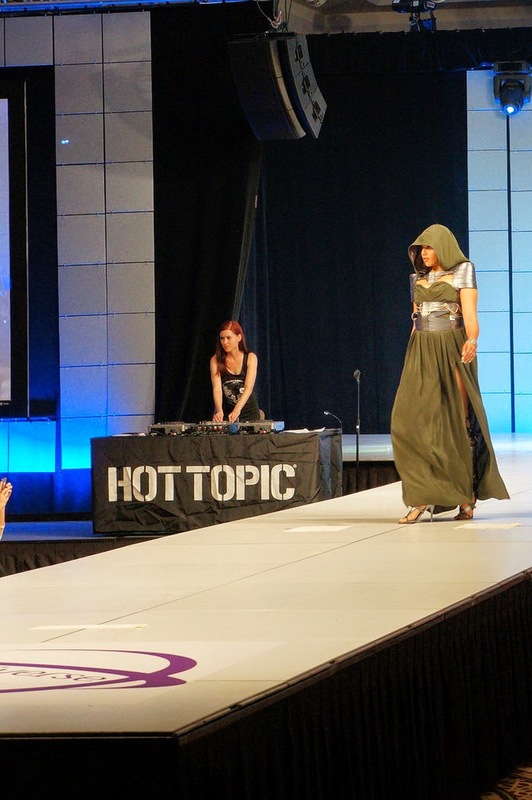 She-Hulk has some serious fashion icon competition from Dr. Doom in this hooded gown. 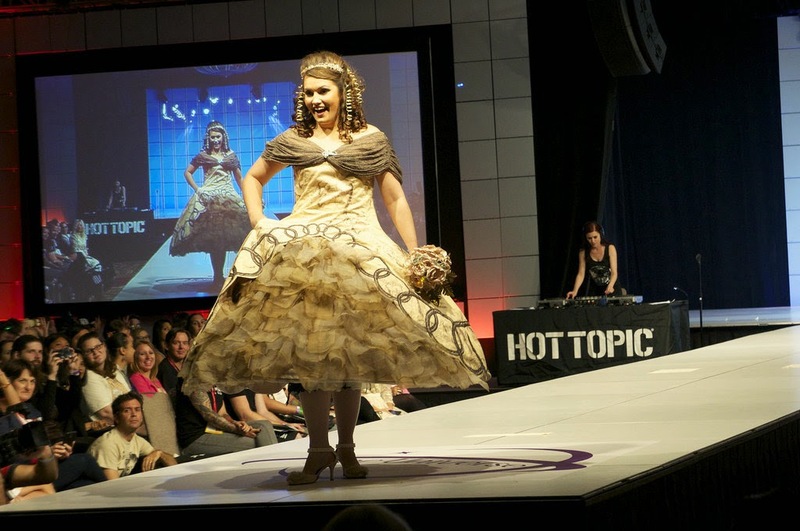 This Hobbit wedding dress and model are just too cute for words! Check out the rest of the dresses (and even more detail from the ones above) over on PopSugar Tech and watch the Instagram vid of the end of the show from Hot Topic below. *Guys, you should know by now I can't help punning.